Homilies on the Psalms at "Lord, I have cried..."
Part 1: "Set a watch, O Lord" (Psalm 140:1-3 lxx). Part 2: "Making excuse with excuses in sins" (Psalm 140:4-5 lxx). Part 3: "I am alone until I pass by" (Psalm 140:6-10 lxx). Part 4: "Bring my soul out of prison" (Psalm 141 lxx). 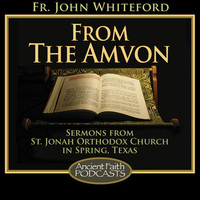 Part 5: "The Truth of the Lord Abideth Forever" (Psalm 129 & 116 lxx).